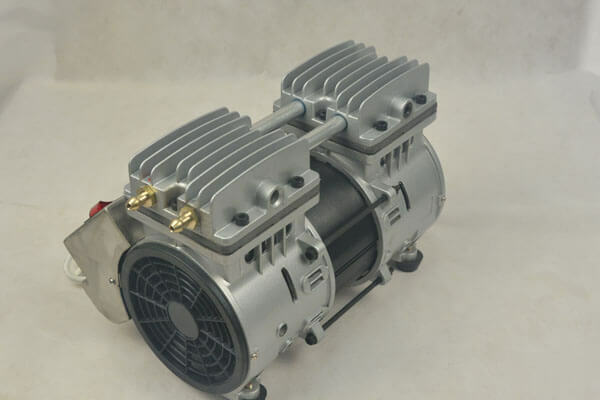 From the current market feedback,the utilization rate of vacuum pump has greatly improved.However, how to solve some small problems of the vacuum pump? The use of vacuum pumps is generally in a relatively harsh working environment, which inevitably corrodes the vacuum pump.then how to deal with these problems?Now lanphan will introduce you in detail how to repair the corrosion pump.The corrosion form of metal is divided into two categories: general corrosion and local corrosion.The general corrosion occurs more uniformly on the entire surface of the equipment, and local corrosion only occurs locally, such as pitting corrosion, crevice corrosion, intergranular corrosion, stress corrosion, and the like.Corrosion will not only cause economic losses to enterprises, but also cause damage to safety and the environment, and also increase the loss of natural resources. Vacuum pump corrosion is divided into two kinds,one is evenly corrosion form,the other is partial corrosion.The former is uniformly corroded and the latter occurs in a small part.During the operation of the vacuum pump, fouling may occur due to factors such as working fluid, calcium and magnesium hardness, pH, conductivity, and temperature.all these phenomenon can do harm to the equipment.First of all, let us understand the hazards of vacuum pump corrosion.Then to explore the problem of vacuum pump corrosion and the measures to repair. 1. Increase chemical consumption and pollution load. 2. Forming production events and reducing equipment life. 3. Increasing the number of non-scheduling downtimes constitutes continuous production and affects the production power of the equipment. If the machine is cleaned, it will increase the repair cost and the rated work load. 4. Increase energy loss.The traditional correction methods include chemical cleaning with shutdown, high-pressure water cleaning, increased scale inhibitor, manual mechanical cleaning, and shutdown and replacement. But it is more time-consuming and less correct, and the correction is not good. 1. surface treatment:Thoroughly remove the surface oxide layer and clean the surface with acetone. 2. Blending material:Reconcile in strict proportions and mix well until there is no color difference. 3. Smear material:Apply a thin layer of material first, make sure to bond and completely cover, and then apply the material evenly to the repair surface to achieve the required repair thickness. 4. Solidify:24 hours / 24 ° C (material temperature). For every 11 °C increase in material temperature, the cure time is reduced by half, but the lift temperature must not exceed the material’s temperature. 5. When a special sound occurs, the pressure plate on both ends of the cover can be removed to see if the end faces of the impeller are damaged by the dispenser, and the exhaust valve plate can be checked for normality. 6. In normal work, pay attention to check the working and lubrication of the bearing. The temperature (bearing and outer circle) is generally 15 °C ~ 20 °C higher than the ambient temperature, and the maximum is not allowed to exceed 30 °C ~ 35 °C. The SHZ-D(III) circulation pump is based on the multi-purpose vacuum pump for circulating water. According to the small laboratory area, it is made of a Japanese bench pump, a one-time molded case, and a reduced volume. It has the advantage of small size and light weight ,beautiful appearance, double-meter double-end pumping, four-meter four-tap, double-sided identical multi-purpose vacuum pump, even if the teacher demonstrates intuitively, students can boot and shut down on either side. 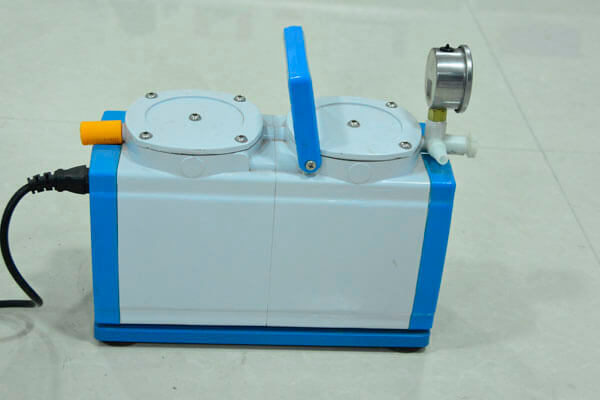 The engine body adopts double-tap,can be used separately or in parallel with two vacuum meters.the host is made of stainless steel chip and anti-corrosion material .anti-corrosion,no pollution,low noise,convenient to move,and vacuum adjustment valve can also be installed according to user needs.At the same time, four students can conduct chemical experiments to reduce the experimental space. Some water filled in the pump as working solution.When the impeller rotates clockwise in the figure, the water is thrown around by the impeller. Due to the centrifugal force, the water forms a closed ring of approximately equal thickness depending on the shape of the pump chamber.The inner surface of the lower portion of the water ring is just tangent to the impeller hub, and the upper inner surface of the water ring is just at the tip of the blade (actually the blade has a defined insertion depth in the water ring).At this time, a crescent space is formed between the impeller hub and the water ring, and this space is divided by the impeller into a plurality of small cavities equal to the number of blades. If the lower part of the impeller is used as the starting point, then the impeller is 180 degrees before the rotation, the small cavity area is increased from small to large, and communicates with the suction port on the end face. At this time, the gas is sucked, and when the inhalation is finished, the small cavity is isolated from the suction port; when the impeller continues to rotate, the small cavity becomes larger and smaller, so that the gas is compressed; when the small cavity communicates with the exhaust port, the gas is discharged outside the pump. 1、With a circulation device, the vacuum is stable, the appearance is beautiful, small and exquisite, unique and unique. 2、This machine uses double taps and can be used separately or in parallel with two vacuum gauges. 3、The main unit is made of stainless steel and the box is made of engineering plastic. Corrosion resistant, non-polluting, low noise and easy to move. The above is the vacuum pump corrosion hazard and repair measures introduced for everyone. At the same time, I also wrote a vacuum pump wear, find out the article, if you are interested, you can click to view. If you want to know more about the vacuum pump, please contact us as soon as possible. Henan Lanphan Industrial Co., Ltd. has been committed to the production and research and development of experimental instruments and pipe fittings for many years, and enjoys a wide reputation at home and abroad. We will do our utmost to provide you with more information and quality service. For details, please contact [email protected] At the same time, if you have any related questions, please call 0371-67447999, we will be happy to help you. What should be paid attention to when using the glass parts of the professional glass reactor?